Understandably, the vortex of political instability in some parts of North Africa is the outcome of democratic touch bearer’s inordinate and uncompromising ambition to introduce democracy wily nilly in the Maghreb. Perhaps the Italian avant-garde and fascist philosopher, Julius Evola was right when he asserted that democracy is a rebuke to human advancement. “Everybody enjoys the freedom he deserves, which is measured by the stature and dignity of his person or by his function, and not by the abstract and elementary fact of merely being a 'human being' or a 'citizen'” (Julius Evola). To him, democracy and rights of citizens are not only abstract but pernicious to societal progress. King Fahd of Saudi Arabia equally opined that Islam and democracy are mutually exclusive. Article 1 of the 1948 Universal Declaration of Human Rights states that all human beings are created, born free and equal in dignity and rights. The above article is in contravention with Islamic law which sees women as inferior to men. 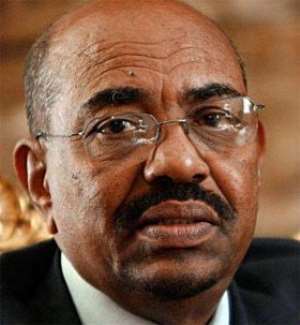 Therefore, to assess Omar Hassan Ahmad al-Bashir by the western democratic standard is a far cry from fairness. Despite carving a niche for himself regarding global notoriety, Mr. al-Bashir fashioned out a formidable defense and described his critics as enemies of Islam. Pogrom in Darfur coupled with agitations from Juba resulted in the independence of the oil-rich southern Sudan. South Sudan became the newest country in Africa. The birthing of the Republic of South Sudan staggered al-Bashir's economy under severe financial burdens. In 2001, the IMF commended the economic indicators of al-Bashir led the National Congress Party (NCP) government despite the US wreaked economic sanctions. The independence of South Sudan in 2011 caused a loss of 46% of the national income, culminating in a shock to the al-Bashir’s economy. The IMF intervened in 2013, and again in 2017, and entreated the NCP government to introduce austerity measures to resuscitate Sudan’s economy. The second reason why the al-Bashir government became unpopular was the desire for the large-scale implementation of western democracy. Democracy does not necessarily mean a short presidential term limit. Following the death of Gadafi, there is no peace in Libya. Khalifa Haftar is on the verge of taking over Libya. Haftar, suspected to be backing by foreign powers from the Arab world had resolved to embark on territorial and political aggrandizement to free Tripoli, and Tripolitania (Western Libya) from the UN-minted Government of National Accord (GNA) steered by Fayes al-Serraj. The situation in Sudan is similar to the mass protest in Algeria that saw the President Abdelaziz Bouteflika given up his iron-fisted two decades rule. Unlike homogenous Chile and Taiwan, Africa is fragmented on tribal and ethnic lines, thereby making military coup a hard panacea to political instability. In 1986, Yoweri Museveni was a hero after his victory in the Bush War. Today, Museveni put his political opponents under house arrest during the counting of ballot papers on the election day! Sudan must learn from Egypt and Libya to eschew violence. For the outset of every military intervention looks promising but often ends with demagoguery and anti-intellectualism. Military coups have a good beginning but terrible ends. Depending on the angle one looks from, al-Bashir could be described as a nationalist or a dictator! We must begin to evaluate African leaders within the parameters of their national laws. Not someone telling them to practice his or her standard of democracy. How long will Africans continue to repudiate their own political standards on unholy altars of Euro-centric convenience? Shalom! This author has authored 147 publications on Modern Ghana.